Our free Piracy Updates service was launched yesterday. It aims to offer a number of ways for anyone to gain up-to-the-minute news, information and piracy attack alerts. The service provides filtered news searches sourced from news agencies around the world. It is delivered via hourly news reports from Twitter, daily updates via RSS or email, and a weekly email too, with consideration given to mariners on low-bandwidth email connection. 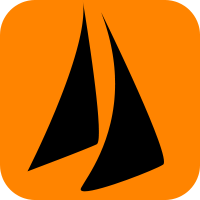 We encourage you to forward on the www.followtheboat.com/piracy/ link to anyone you think may benefit from the service.